This topic contains 0 replies, has 1 voice, and was last updated by kimm sutton 6 years, 8 months ago. We understand that Violence is any physical, emotional, verbal, institutional, structural or spiritual behaviour, attitude, policy or condition that diminishes, dominates or destroys others and ourselves. Violence is one of the possible responses to specific conflict situations. This does not imply that violence is unavoidable. Violence is not inevitable and it must not be confused with conflict. In other words, Violence consists of actions, words, attitudes, structures or systems that cause physical, psychological, social or environmental damage and/or prevent people from reaching their full human potential (Fisher et al. 2000). Violence can be deeply structured into the system of relationships, within socio-economic and political arrangements, and even in the culture of a society and of a global system. Therefore, systemic violence can in turn be a root causes of conflict, as well a behavioural response to a specific conflict situation. 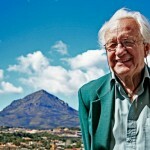 Johan Galtung (1969), made a clear distinction between Structural Violence, Cultural Violence and Direct Violence. These ideas are connected to his distinction depending on how it operates between three inter-related forms of violence (Structural-Cultural-Direct) where Structural Violence is at the left end and Cultural Violence is at the right end of the base of a Triangle invisibly while Direct violence is on the vertex visibly. According to Galtung’s Violence Triangle (1969), Cultural and Structural Violence cause Direct Violence. Direct Violence reinforces Structural and Cultural violence. Direct Violence, Physical and/or verbal, is visible as behaviour in the triangle. However, this action does not come out of nowhere; its roots are cultural and structural. Cultural violence is the prevailing attitudes and beliefs that we have been taught since childhood and that surround us in daily life about the power and necessity of violence. We can consider the example of telling of history which glorifies records and reports wars and military victories rather than people’s nonviolent agitation, movements, rebellions or the triumphs of connections and collaborations. Almost all cultures recognise that killing a person is murder, but killing tens, hundreds or thousands during a declared conflict is called ‘war’ or killing of innocent people by the security forces are often declared as caught in the crossfire. Structural violence exists when some groups, classes, genders, nationalities, etc are assumed to have, and in fact do have, more access to goods, resources, and opportunities than other groups, classes, genders, nationalities, etc, and this unequal advantage is built into the very social, political and economic systems that govern societies, states and the world. These tendencies may be overt such as Aparthied or more subtle such as traditions or tendency to award some groups privileges over another. Constitutional privileges of Job reservations and financial supports in the name of the welfare of the “tribes or backwards” and non-uniform land law, which bans one group to own landed property in their own land while other groups are free to own landed property wherever they want are also examples of structural violence. Theories of structural violence explore how political, economic and cultural structures result in the occurrence of avoidable violence, most commonly seen as the deprivation of basic human needs (will be discussed later). Structural theorists attempt to link personal suffering with political, social and cultural choices. Johan Galtung’s original definition included a lack of human agency; that is the violence is not a direct act of any decision or action made by a particular person but a result of an unequal distribution of resources. Here, we must also understand “institutional violence”. “Institutional violence” is often mistaken for structural violence, but this is not the case. “Institutional violence” should be used to refer to violence perpetrated by institutions like companies, universities, corporations, organisations as opposed to individuals. The fact that women are paid less at an establishment than men is an act of direct violence by that specific establishment. It is true that there is a relationship with structural violence as there is between interpersonal violence and structural violence. And Structural violence is the most problematic area to be addressed for conflict transformation. I found this online and thought it was awesome.